Hyundai Motor Co.’s new Ioniq sedan, which will come with three different electrified powertrains, will sport coupe-like styling with design flourishes that telegraph its environmental credentials while delivering “class-leading” aerodynamics, the company said. Fresh renderings released by the company depict compact packaging with clean lines, a low hood and a raised rear deck. The front end gets an emphasized fog light recess. The Ioniq, which will debut next month in South Korea, will come in a traditional hybrid, a plug-in hybrid and an all-electric set up. Hyundai says the Ioniq is the first nameplate from any manufacturer to offer either an electric, traditional gasoline-electric hybrid or plug-in hybrid powertrain. on the Toyota Prius hybrid and Nissan Leaf electric vehicle, while underpinning Hyundai’s next-generation green car strategy for meeting increasingly stringent global emissions rules. To improve fuel economy, the Ioniq incorporates active grille flaps to better channel airflow around the car. The hexagonal grille is also topped by gloss-black detailing that flows into the headlights to differentiate the eco-car from the rest of the lineup. 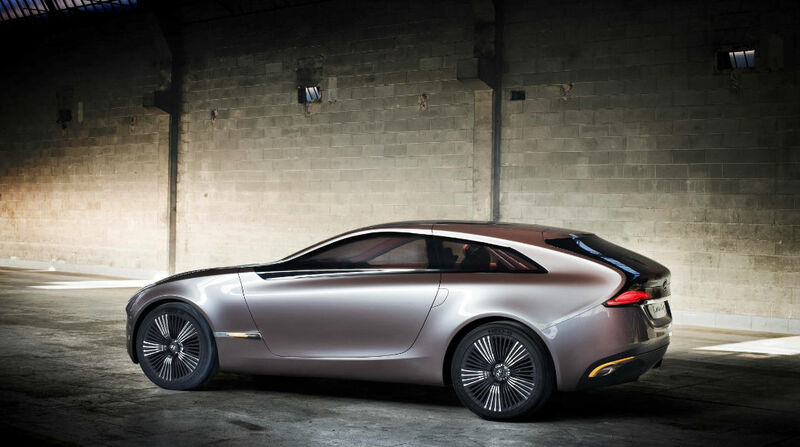 Inside, designers strived for a smooth, simple, clutter-free feel, Hyundai said. The first half of the nameplate’s moniker, ion, comes from the name for an electrically charged atom, a nod to the electrified powertrain. The second part comes from “unique.” The “Q” is depicted in the car’s logo to express a “visual breakthrough” that symbolized the “fresh new approach” of the vehicle, the carmaker said. The vehicle gets an exclusive all-new platform designed to fit all three of the Ioniq’s powertrain options. The all-electric version will utilize a high-capacity lithium ion battery. Hyundai did not say what battery types will be deployed in the other variants.